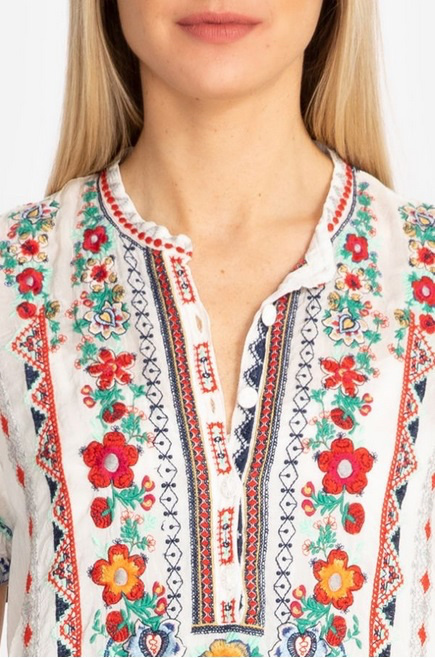 Bright geometric and floral embroidery work together to bring you the one of a kind Liesse Tunic. 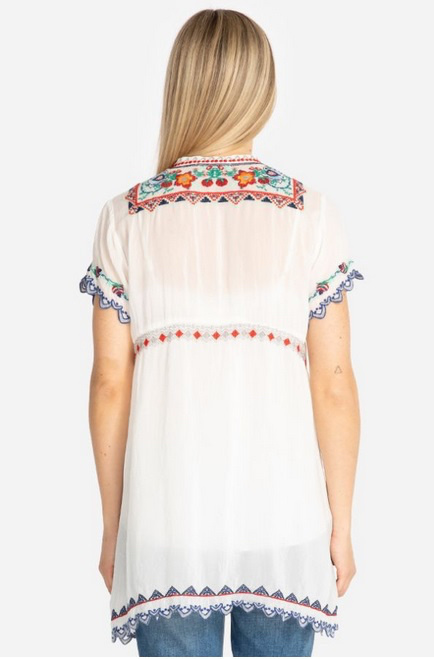 Scalloped edges heighten this piece wile a button-down neckline adds comfort. 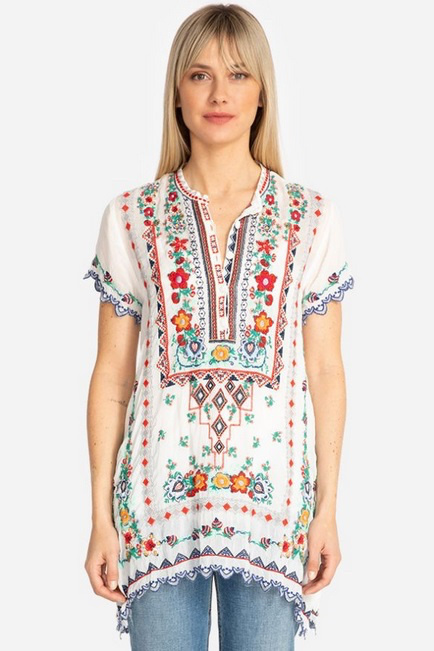 This tunic is made from 100% rayon, so it is light and perfect as a cover-up or blouse. Pair with jeans, shorts or leggings for a relaxed and stylish work. Perfect for traveling. Machine wash cold, no bleach, tumble dry low. Warm iron if needed.